Improvement. The drive and determination to make something better. That’s what defines Kage. With over 15 years’ experience in the automotive and car parts industries, we’ve developed a range of exhaust, chassis, cooling and racing components that promise to fulfill the very limits of your vehicle’s capabilities. 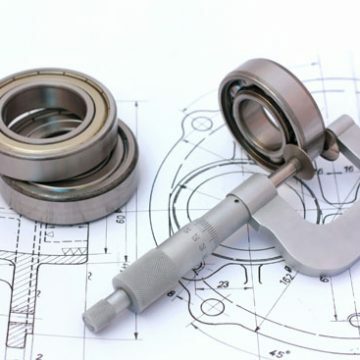 Through careful development and testing we use our design and reverse engineering knowledge to continually improve the form and function of these integral parts. Our research and development team (R&D) and warehousing are all based here in the UK. We have the facilities and design skills to be able to make products specifically for your vehicle’s needs. Please note that minimum order quantities do apply, but we work with you to keep these flexible and as low as possible. Get in touch to find out more. Across three dynamic brands: Skadi, Malian and Barbarian, you can explore a full range of products designed to unleash the true potential of your driving experience. Kage Trading Limited has the ability to take your designs and ideas from concept all the way through to market. We work with you to develop your ideas, supporting with the design, manufacture, branding and distribution. We make bringing your branded product to the market easy, we can even store your product in our warehouse and drop ship it directly to your customers. Our facilities allow us to supply parts made from stainless steel, titanium and aluminium. We are experts in tube manipulation, CNC machining and TIG welding. Click below to get in touch with us and see how we can help you. special trade prices and latest deals?